I wonder who was the manufacturer. Was there more than one company? Re: M Oil in 1970s: Who made it? Castrol. Used for methanol engines. Shell Super M castor-base racing oil. Shell M (castor base) early 70's even sweeter smell than castrol r me think ! I remember my Suz TM125 owners manual suggested either Castrol R30 or Shell Racing M castor oil. Shell also sells Methanol as Shell M also. The Shell methanol is called "Shell A"
R30 was the oil of choice back then for the petrol 2 strokes but you can't use Castrol M with petrol as it doesn't mix. 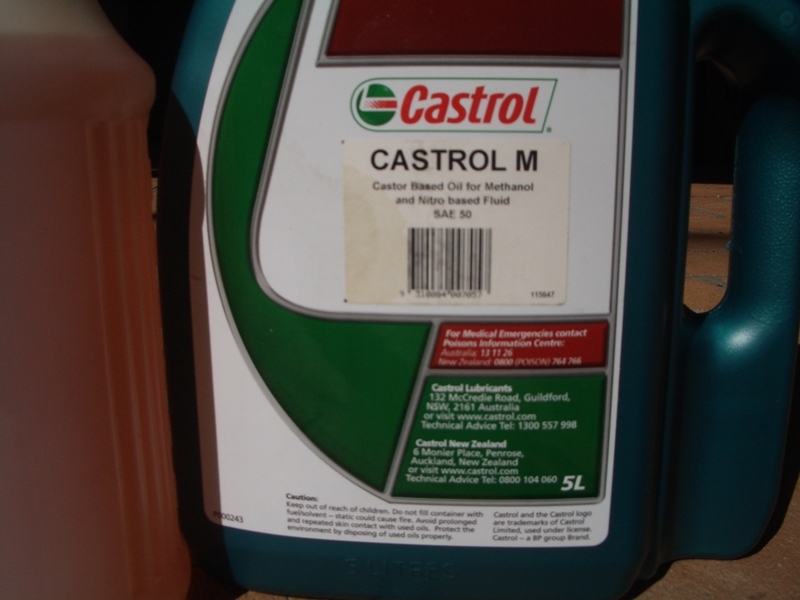 The Shell M was a blended castor base oil that would mix with either methanol or pertol. Had a big drum of the Shell M and used it in my PE175 but it was quite a dirty oil with lots of carbon build up. I used to use Castrol MSSR mixed in Alky in my YZ125's in the late "70's & 125G in 1980. The Alky was called Shell Racing Spirit Special. Purple in color & if it it escaped the tank cap it cooled ya nuts instead of stinging like petrol [did i say that] Back in the B33 [BSA] days on Alky--in the motor i used Shell Super Heavy which by memory was like Castrol R but thicker. No wonder the old girl was hard to kick over on frosty days on first start with flywheels dragging on what was lying in the bottom. On my DT2 on Alky i ran the oil through the pump--not sure now if it was MSSR or shell M if that's like Casrol R, but the yellow gold anodized Yamaha slide used to stick open on Alky so premixed it & was ok--should have done that in the first place. Actually come to think i used the pump initially as premixing it used to go cloudy & separate on cold days till some said add something--acetone maybe. Too long ago now but Bring back Those Days lol.